Barbara was recently in the relatively unspoiled Sonoma County Wine Country. She shares some of her best dining experiences including the One-Star Michelin Farmhouse Inn & Restaurant in Forestville (housed in a real Farmhouse,) and the more casual Healdsburg Shed in Healdsburg. She also reminds about the whereabouts of high profile chef, Douglas Keane. His acclaimed restaurant in Healdsburg, Cyrus, has closed. Fortunately he is still represented in Healdsburg (and Sonoma County) with the more casual Healdsburg Bar & Grill. It’s basic American comfort fare. In as tip of the hat to being located in wine country there is no corkage fee. Barbara will join us again in December to share her recent San Francisco dining adventures. Enjoy the unlikely saga of The Big Cheese of The Grilled Cheese Truck, Dave Danhi. We’ll also have the Mad Hungry Woman blogger with us talking about a recent dining discovery in San Diego that’s a delightful Italian-Japanese fusion. Dave Danhi is the founder, director, and executive chef of The Grilled Cheese Truck. This was the first gourmet food truck to go national and there are big plans to expand through a novel franchising program. A huge following on social media was the initial key to getting this business going. The Big Cheese himself joins us to recount this unlikely success story. Dave is also a much sought-out executive recruiter for the Hospitality Industry. His firm is DD Factor. We’ll talk to him about this little known (but vitally important) field, also. You honestly don’t find suitable executive chefs and general managers on CraigsList! Dave completes the fascinating story of how The Grilled Cheese Truck got to where it is today (a national phenomenon) and what the future holds. Keep in mind he’s a high level executive chef by background. Dave also profiles his other business entity, DD Factor. This is an executive recruiting firm designed just for the hospitality business. If you need an executive chef this is the place to go. Most Californians remember Barbara Fairchild as the long-time Editor of Bon Appetit Magazine. She now is an accomplished cookbook author, food journalist, and educator. 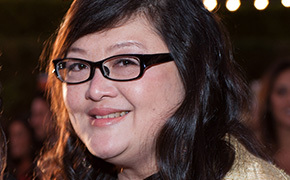 Anita Lau is best known to the listening audience of the “SoCal Restaurant Show” as the creative force behind the “Mad Hungry Woman” blog. Anita is regularly out and about in Orange County, San Diego, and sometimes even the Los Angeles area reporting on her dining out adventures. She particularly seeks out the less obvious hidden gems. 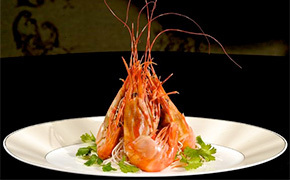 Anita Lau of the Mad Hungry Woman blog is with us with a San Diego dining discovery. Anita was a finalist for a Golden Foodie award in Journalism this year. The Holidays are Bruno’s favorite time of the year as he fund-raises to benefit the Caterina’s Club’s Motel Kids. December marks his annual toy drive to collect gifts for some 2,000 Motel Kids. Every night Bruno feeds 500 hungry kids. Bruno has just introduced a new 3-course Sunday Brunch Menu with free-flowing Champagne at the Anaheim White House. Brad A. Johnson is the James Beard Award-winning restaurant critic for The Orange County Register. He’s been there about a year now. Brad talks about what is worthy of 4-Stars and the restaurant earning that rarified praise. This was actually three articles in The Register, including a Sunday “Travel” piece. His new project is co-producing the upcoming “Golden State of Cocktails.” It takes place January 27th through 30th on the historic top floor of the Los Angeles Times Building in Downtown Los Angeles. This space was the former executive offices and the grandeur of the floor will surely impress. The educational event is designed for the trade as well as beverage enthusiasts. This summer she taught a course in the Arthur L. Canter Journalism Institute at the prestigious New York University. Barbara told us all about that as well as provided us with some great Manhattan dining suggestions ranging from a superior deli find to a casual Italian with primo pasta and a comfortable celebrity chef restaurant with classic 30s luxury cruise ship décor that’s really worth going to. She will be back on November 23rd to chat about dining in the Bay Area and the Napa Valley. Food journalist Jason Kessler of Food Republic and Bon Appetit was actually on the diet for 40 days and shared his experience with us. Jason’s observation is that because the diet is so restrictive you can drop some weight rather quickly. The severely limiting factor is that it gets monotonous rather fast. Regular, long-time readers of Bon Appetit Magazine will remember Kristine Kidd as the veteran Food Editor. Kristine is a serious home cook. She prepares fresh meals at home almost every night. Her emphasis with the book is serving quick, flavor-packed meals which are free of wheat, rye, and barley.